Lately there has been a surge in scale truck competitions. The competitions range from mild trail runs with gates, to full on “Top Truck Challenge” style events. No matter which style event you are into, there is probably going to be one common obstacle at most of these scale events…………………water. As most people know water and electric R/C’s don’t really mix well together. 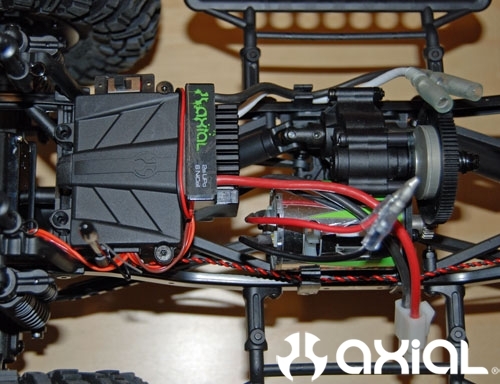 Most electronic R/C’s can be very sensitive to moisture, let alone splashing water and/or snow. 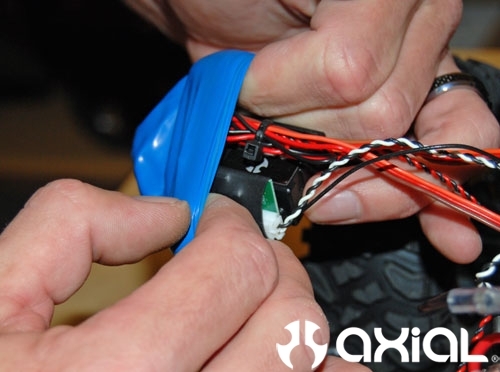 But, with some care and a little preventive maintenance driving your SCX10 in wet conditions can be done with no consequences to your electronics, or your wallet. 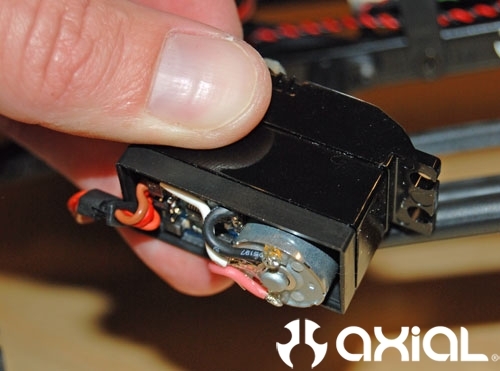 This article is geared towards keeping your electronics dry, even if you completely submerse your SCX10 in water. There is something about driving scale R/C trucks in water, mud and snow that is unbelievably fun. I can’t really put my finger on it, but for some reason it is an absolute blast. So, here are a few tips to help keep you splashing around in your local creek, instead of at the work bench replacing ruined electronics. 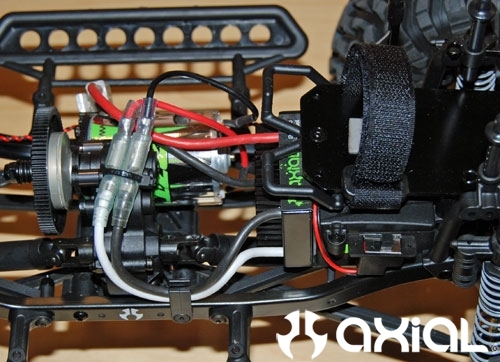 For this article I will use a stock SCX10 TR Honcho, that has been modified to run 2.2 wheels and tires. Here’s how it looks before I got started. Here’s how it looked after I removed the battery tray. Next I took the cover off the receiver box, then peeled the ESC off the box as well. I started with the receiver and simple LED kit. First, I used a little double stick tape to attach the LED controller to the side of the receiver. With it configured like this I will still be able to put everything back inside the electronics box after the balloon treatment. Make sure your wires are somewhat organized too, and are all on one side of the receiver. The wires will exit the balloon through the opening. 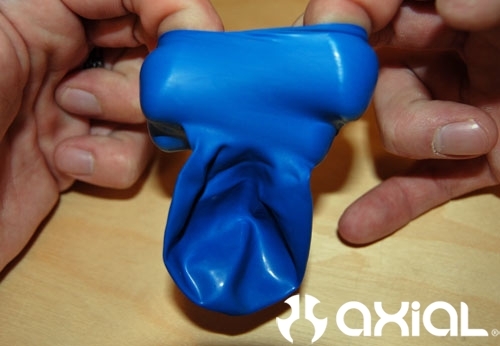 Now grab a balloon and stretch the open end up using both hands. 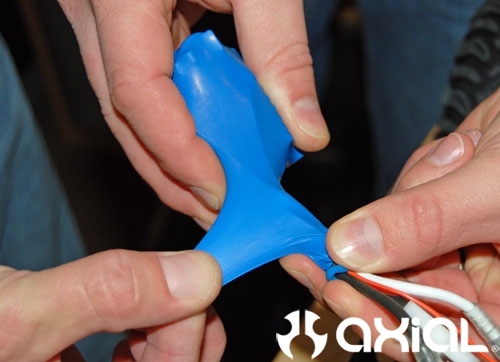 While holding the balloon open, use your left over fingers to guide the receiver and LED controller into place. Here is how it will look after installing the first balloon. Now we will move onto the ESC. I marked the power switch on the ESC with a Sharpee, so I know where the “on” position is. We will be inserting the ESC inside another balloon, and access to the power switch may no longer be available. I personally would cut the switch off and solder the positive and negative leads together. So when you plug your battery in the ESC kicks on automatically. But, there are ways around that if you don’t want to solder. 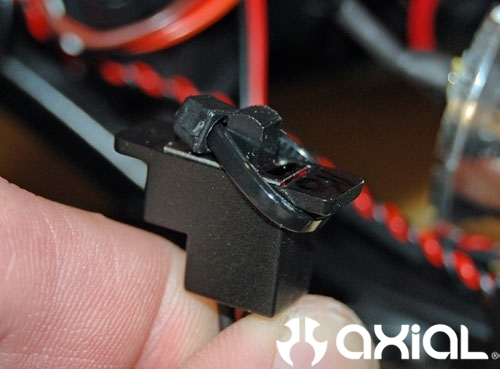 To avoid soldering the power switch leads, I just used a Ziptie to ensure the ESC remains on at all times. Depending on how it’s set-up, you may be able to access the power switch right through the balloon. After prepping the power switch, I used a little double stick tape on it as well, and attached it to the side of the ESC. Here you can see the ESC is ready to be installed inside another balloon. Stretch the balloon over the ESC just like you did for the receiver. Now grab a second set of hands to help with this next step. 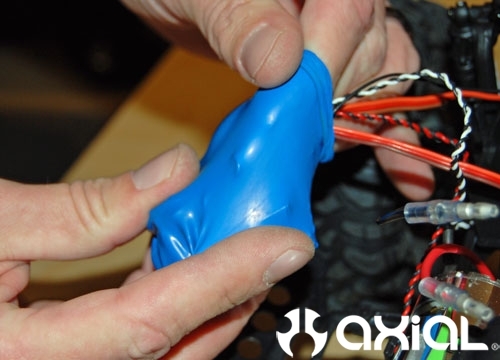 Have your second set of hands hold the ballooned electronics at the base of the ESC/receiver and at the end of the balloon. 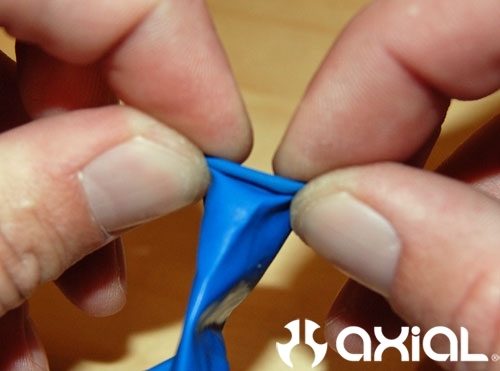 While you grab the neck of the balloon in the center, pull up, and wrap it around itself as many times as you can. 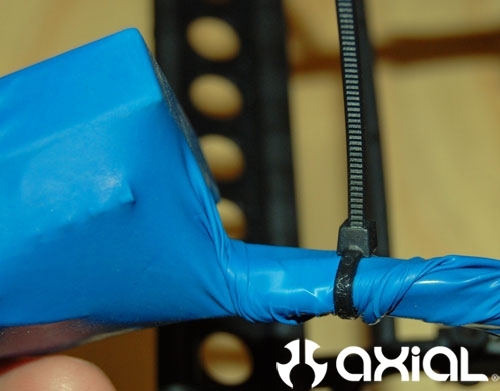 Now use a Ziptie to hold the neck of the balloon in it’s wrapped state. Add a couple more Zipties to either side of the first after, just for piece of mind. Also, we will be installing a second balloon over both the ESC and receiver, so try to keep the first set of Zipties that hold the neck of the balloon close to the actual ESC/receiver. Because the second balloon will be installed over the whole assembly, and you will have to wrap the neck of the second balloon just like you did the first. Now, as mentioned in the last step, double balloon the ESC and receiver using the same method. It may seem redundant to wrap the electronics in a second balloon. But, I will gladly spend the extra few minutes and .5 cents it takes to ensure my electronics are 100% safe from moisture. Please keep in mind that you will want to monitor your ESC temps for the first few runs to make sure nothing is going to overheat. If you are geared right, temps shouldn’t be a problem at all. But, if your ESC gets hot under normal driving conditions, you may want to install a smaller pinion on the motor to help eliminate heat. You can see the receiver fits nicely back into the stock location , after I installed the second balloon. Here you can see everything is back together just like the stock set-up. I used double stick tape to re-attach the ESC to the radio box, then added a Ziptie around them both, just to make sure the ESC doesn’t go anywhere. Now it’s time to prep the steering servo. Remove the servo horn, then remove the servo from the axle. 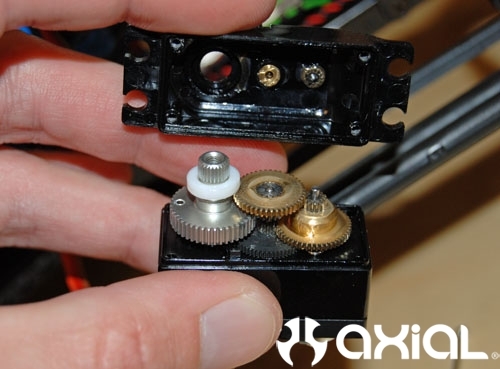 Now remove the 4 screws from the bottom of the servo. Remove the top and bottom caps. 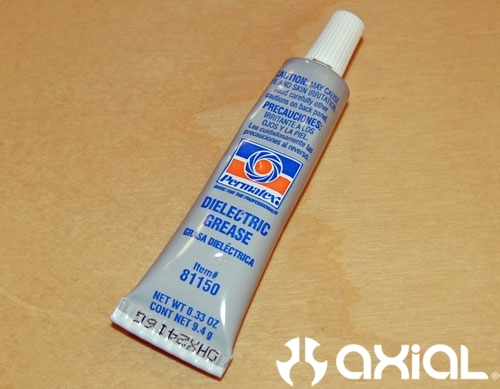 For this step we will use some dielectric grease to stop water from entering the servo through the hole in the top cap. 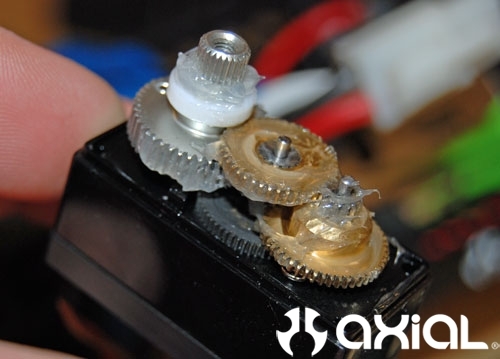 Add some of the dielectric grease around the servo’s splined output shaft, on top of the bushing/bearing. I also added a little more dielectric grease to the gears just to re-lube them. Then reassemble the servo, you should see the grease starting to push out around the servo’s output shaft. Now reinstall the servo on the front axle. 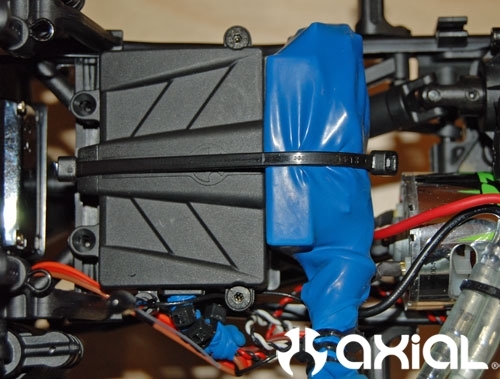 For an extra measure of protection you can dip the whole servo in Plasti-Dip. 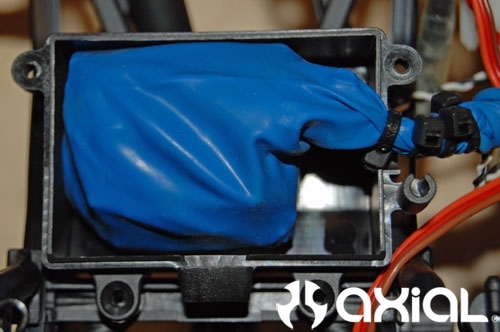 It’s a liquid rubber compound that will coat the outside of the servo, and help stop water from penetrating the working internals. 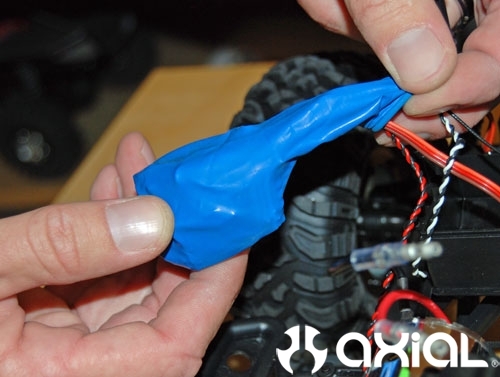 While no one here at the Axial headquarters has used this method, or can endorse the use of this product. There are video tutorials on YouTube that show the proper method for using the Plasti-Dip. Also keep in mind if you plan on submersing your SCX10 in water deeper then the center of your headlights, you should install a high quality snorkel first. One last thing we should mention is that running your SCX10 in water will rust anything that is steel on your truck. Bearings, steel gears, axles shafts, etc will all develop rust if exposed to water. Proper maintenance will be required to keep rust down to a minimum. Flat out awesome – I’ve wanted to do this since I bought my SCX10 and you’ve made it seem easier than I was planning on. Great writeup Bender! There’s nothing quite as fun as plowing through mud and water. I’d like to add that people can use silicone or grease at the neck of the balloon to help keep water out, and I also use Silica packets inside the balloon to fight condensation. I’ve also used expanding sponge to capture any moisture that might get it. wow this is one of the best and most complete guides for this I have every come across. I was going to do something similar for my youtube channel but why, its all right here. I did an unboxing video for this truck and its already very popular, I am going to link to this content on my site for sure. Nice work! If i do this, will the axles get full of water. And will the motor cook? P.S. this is the waterproofing video. Water will get into your axle housings for sure. The motor will be fine running in water. The ESC shouldn’t get hot enough to melt the balloon. If it does, the gearing is wrong and everything is getting too hot. Correct. I have fully submerged my Honcho several times without any issues. I just shot an epic video of the new trail honcho…your team might wanna check out…sorry to post it here, I don’t really know how else to reach you…its shows off some pretty awesome stuff..
Glad i dont have to buy traxxas esc and steering servo. saved be a 100 bucks! you mentioned taking the temp of the controls…what temp should the controller not exceed and what temp should it normally operate in? Is there any after cleaning or maintenance that should be done after splashing it through water and mudd ? is it okay for the ESC? Some lipos are. 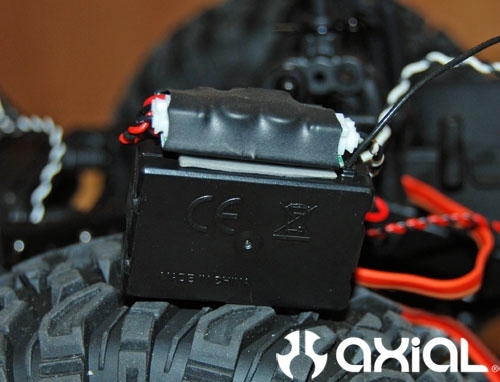 For example all of MaxAmps lipo batteries are 100% waterproof. You will have to check with the manufacturer to see for sure if you are running something else. Not sure of an actual degree reading, but you should be able to touch the ESC at any time with your bare hand. Usually they get very warm to the touch. But, if you can’t leave your finger on the heat sink for more then a second or two, it is running too hot. Spraying your rig down with WD-40 can help stop rust from taking over after you have run in the water. Usually, I just blow the truck off with an air hose, or rinse it with a garden hose. Then hit the axles, and any other metal parts with a little WD-40 to keep the rust at bay. Not exactly sure what you are asking. 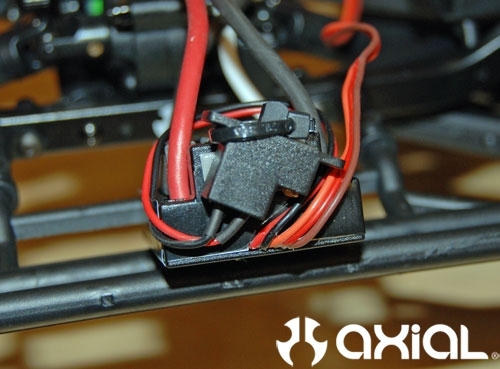 Installing the ESC in a balloon will not harm it, as long as it doesn’t overheat. I would check with Novak on the motor, I have never had one of them in water. For batteries, the MaxAmps lipos are all waterproof. Just depends on the manufacturer. Thanks Ryan, I learned from the best in the northwest. lol! Just wanted to let you know that i myself used the plastidip spray on my stering servo and on my reciever and i used liquid electrical tape on all the electronics and i have and i have submersed my honcho several times the stuff works great. Another thing you can try is taking the axles apart and filling them with marine grade grease, it will help keep out water so your axles don’t rust plus keep dirt out, don’t want to sand blast them gears. 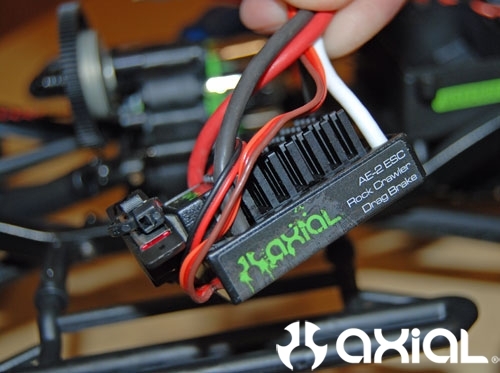 hello axial! ive got my trail honcho assembled and was wondering what motor/ esc i should get for my rig. i plan on driving it mostly in water no deeper than the center of the wheels, and drive it up and down steep rugged mixed terrain. Won’t this overheat the ESC? I personally run a Tekin FXR ESC, and a 45t motor in my Honcho. It has great torque and decent wheel speed, which is perfect for trail runs. 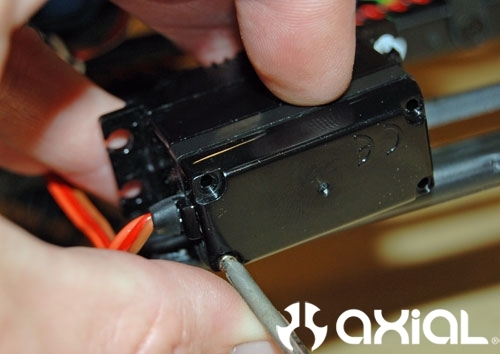 Most servos have an o-ring that seals the seams of the servo case. I used grease on the top cap because that is the most likely spot that water will be able to enter into the servo case. It shouldn’t. If you are geared too tall, and have a lot of top speed, the ESC may get hot. But, for general scale bashing your ESC should never get too hot to touch, especially if you are geared right. Well what happens if the ESC get hot and melts the baloon? The ESC shouldn’t get hot enough to melt the balloons, if it does then the vehicle is geared too high. With crawlers we have a lot of gear reduction, so motors and ESC’s don’t have to work that hard to get the vehicle moving. is there anything wrong that will happen cuz the switch is permanently on like that? Would the stock setup get hot enough on the esc to melt the balloon? No, leaving the switch on all the time will not harm anything. 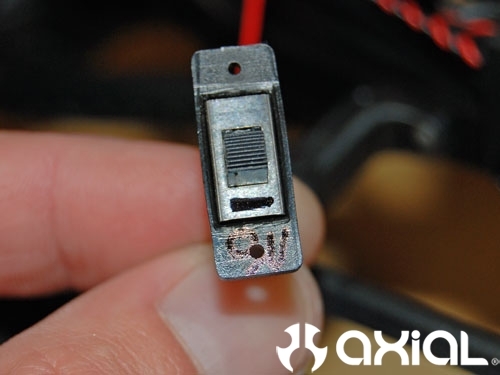 Most people cut the switch off and solder the leads together, to eliminate the switch. It shouldn’t, most crawlers don’t generate very much heat, unless the gearing is way off. Stock set-us will be fine with this mod. How long with this waterpoofing last? Will I have to replace the balloons ever? It should last a while, as long as the balloon isn’t exposed to moving parts. So, the stock motor runs fine underwater right? Say bender, what batteries are you using? Correct, the stock motor will be fine running in water. Dirty/sandy water will decrease the life of your motor though, without proper maintenance. I run MaxAmps batteries, which are all waterproof. I run 3s 1800mah packs in my Honcho. What sort of maintenance do you need for the motor? How do you clean it after a soaking? You can use motor cleaner to spray the motor down, then use a light oil to relube the bushings/bearings. Done exactly as you said Bender. And everything is going fine. Here’s a glimpse at the result. Many thanks. The pinion and spur gear on the transmission. 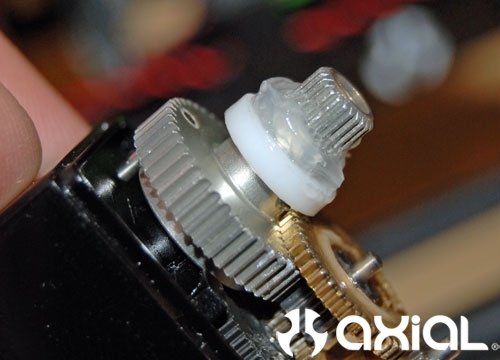 Going to a smaller pinion gear, or a bigger spur gear will help cool things off if your current set-up gets too hot. OK, If I put 2.2 tires on it will I have to change the gears or anything else? If I waterproof everything like you said to my stock scx10 will it run hot or have any other problems? If the gearing is stock, I would switch to a smaller pinion. The Honcho comes stock with a 20t pinion, dropping down to a 14-15t pinion will help offset the extra height of your 2.2 tires and wheels. After the gear change you should be ok to waterproof. Just monitor your temps while running the first few batteries. Check it after 5-10 minutes of driving. 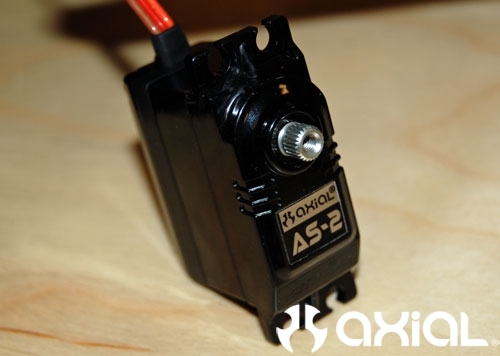 If the motor or ESC is really hot to the touch, gear it down some more. OK where can I buy those gears? 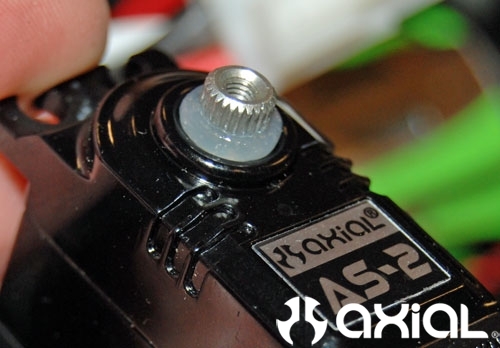 Here’s a link to the small pinions we make, anyone that carries Axial products can get them for you. If your ESC and servo are waterproof you should be fine. WWill this method works for the honcho rtr? I feel compelled to point out that balloons and liquid electrical tape are NOT 100% waterproof. It will work, even with submersion but only for so long. 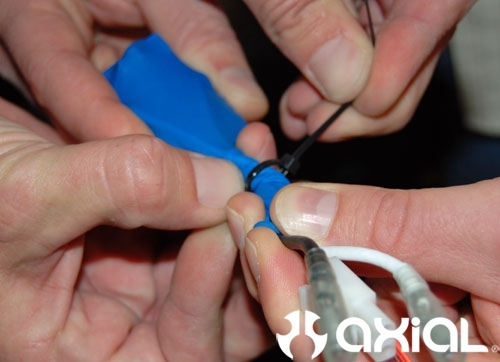 The wires can allow water to travel inside the insulation and right through your balloon or liquid tape. Use potting (also called encapsulating) epoxy, create a mold and seal your electronics. It’s permanent and voids warranties, but so does water damage. This is how RC manufacturers waterproof electronics, look at any waterproof ESC from a major RC company (I won’t mention competitors names on here) you will find it has been encapsulated with epoxy. 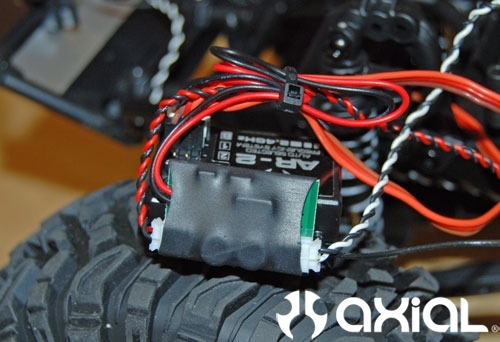 hey bender i hink your team should tell axial to make all their electronics waterproof stock weve all been waiting for it so why not do it for us? Packing gears and bearings with grease will help keep water out. The grease in the transmission will help keep water at bay too. But, you could always pack some extra grease in there, for a little added protection. What about waterproofing the stock axles. Can you do a tutorial on how to install the snorkel!! haha SNORKS! Hey there, not a novice to the cause but i was wondering, how would you waterproof or resist the nvs kit as it does generate heat, will it harm the nvs kit by getting to hottin a balloon? The NVS system shouldn’t generate enough heat to melt the balloons, you should be fine. Are the onyx baterries waterproof?